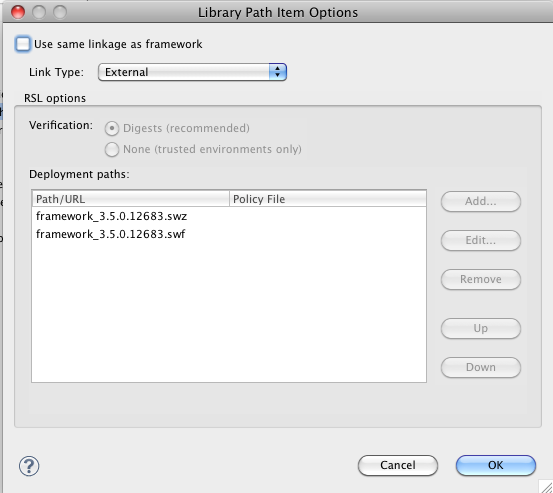 Is there a simple option somewhere in a modules Flex Compiler Settings to set the link type to a library to external? For example, in a Library Module (SWC) I want to define the Flex framework as External (not merged or RSL). I know I can do this in ANT but I was wondering if there was an option similar to eclipse (see attached)? Unfortunately there's no such configuration option yet. You may use custom compiler configuration file to have full control on all Flex compiler options.